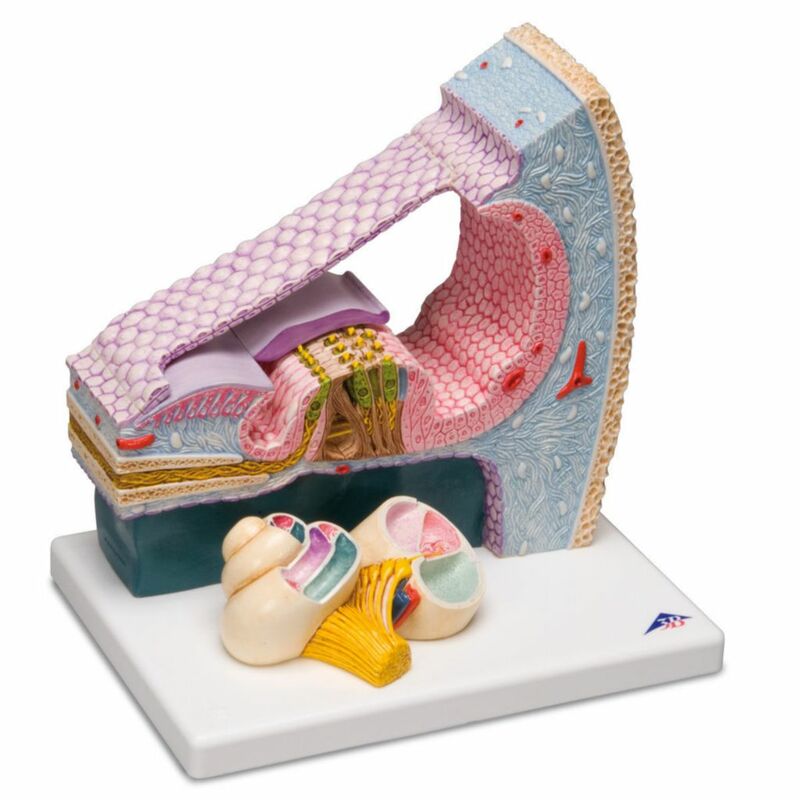 The model shows a three dimensional section through the organ of Corti, the site of the sense of hearing in the inner ear in humans. Special attention has been given to the detailed representation of the individual cellular components and membranes. The overview model in the foreground also shows the exact location of the organ in the cochlea.